Voted Best South Florida Fitness Company! Also Offering Body Pump®, Yoga, SilverSneaker®, Zumba & More! Get the Help You Need at Busy Body Fitness & Training Center! 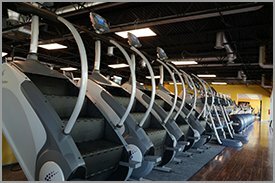 Busy Body Fitness & Training Centers are loaded with the most recognized and trusted brands of treadmills, elliptical trainers, cross trainers, step mills, recumbent and upright bikes, and cardiovascular entertainment like large screen television and the P80 Consoles. 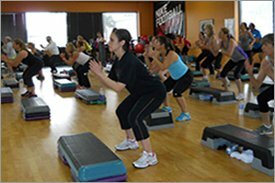 Busy Body Fitness & Training Centers feature a complete group exercise classes schedule with trend setting classes & awesome group fitness instructors. It’s all on the schedule: Body Pump®, Bootcamp, Pilates, Spinning®, Yoga, Zumba® & SilverSneakers®! Busy Body Fitness & Training Centers are very well equipped with several lines of strength training equipment, selectorized and plate load machines, iso-lateral machines, free weights, kettlebells, and plenty of functional-style training equipment and machines. 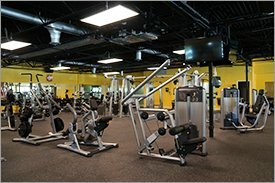 Busy Body Fitness and Training Centers are personal trainer friendly and we have all of South Florida’s best. If you’re looking for a personal trainer who has your goals in mind and knows how to help you achieve them – look no further! Stop in and speak with a trainer today! *Local residents only, first time visitors, 18 years or older.